Everyone! We have wonderful news. 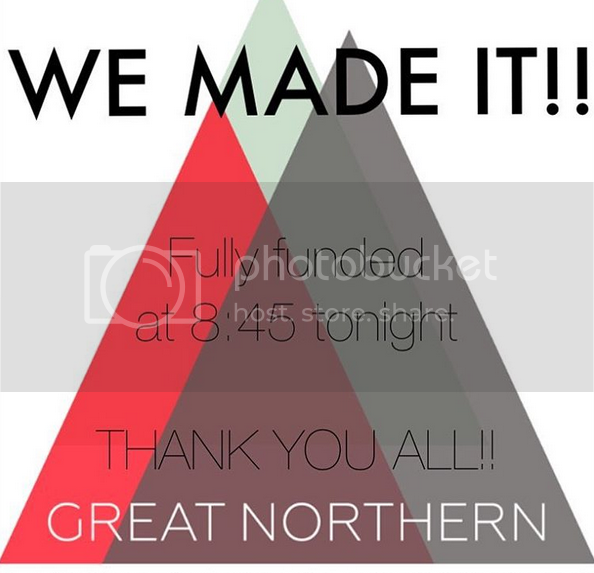 We reached our goal and Great Northern WILL be published in print! Getting this book funded was a community effort. It was because of all you fantastic people who shared, posted on blogs, contributed to the Kickstarter, donated prizes, and have been cheerleaders the whole way through. This is so fantastic. We’ve never felt so supported. Wish we could send you all a cinnamon-bun-of-thanks. To keep in the Great Northern loop over the next year, you can check out the Great Northern website and/or join the mailing list. There will be news, previews, and test knit opportunities.